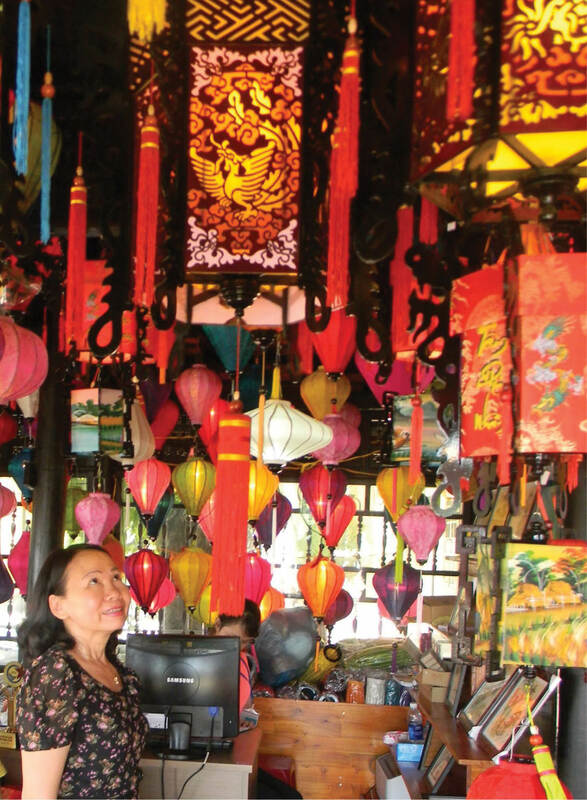 Hue Traditional Craft Festival 2019 will have the participation of over 300 artisans, and 63 domestic and international craft establishments and craft villages. After three times joining Hue Traditional Craft Festival since 2013, the biggest thing found by Thanh Tien paper flowers artisan Than Van Huy is the revival and development of traditional craft villages in the province. Through the Festivals, artisans and craftsmen have the opportunity to show their talents, create the motivation to design and create various new designs so that craft village products will be promoted to visitors. According to Than Van Huy, products of the establishment had only been consumed in the province and some cities within the country, since 2013, through the Festivals, these products have been present in many countries around the world, such as the United States, Japan and South Korea, etc. In July 2018, the establishment was honorably to be invited to participate in the exhibition and craft demonstration in the Chinese City of Shanghai, and signed some economic contracts after the Festivals. For Bao La Bamboo and Rattan Cooperative, Hue Traditional Craft Festival has opened the opportunity for this traditional craft village to sign contracts and bring its products to major markets including Hanoi, Ho Chi Minh City, Quang Nam, and export them to China, and Japan. “Every year when the Festival is held, we mobilize hundreds of workers to make products to display. Although the Festival only takes place in a few days, thousands of large and small products are consumed, with sales reaching hundreds of millions VND,” said Vo Van Dinh, Director of Bao La Bamboo and Rattan Cooperative. Hue Traditional Craft Festival has not only succeeded in organizing and promoting brand names, but also become the opportunity for artisans to bring all of their talents, intellect and quintessence of the crafts to create unique products. Accordingly, many tourism products have been created through the Festivals; among them, Tinh Tam Kim Co and the Museum of Commissioned Patterned Porcelain in the Nguyen Dynasty are two of many cultural and tourism products created and attracting visitors. From the perspective of Vice Chairman of Hue City's People's Committee, Mr. Nguyen Dang Thanh, the effects of Hue Traditional Craft Festivals are not only to preserve, conserve, develop traditional crafts and honor artisans, but also bring the products of Hue craft villages to international friends. After the 3rd Hue Traditional Craft Festival, A Luoi's Zeng weaving products were introduced on a fashion stage in Japan for the first time. 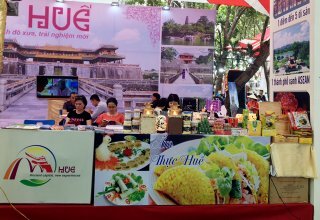 Hue kites were present at the Kites Festival in France; and three crafts including woodcarving, vitreous enamel, and restoring the Ao Dai of Hue have recently been exhibited in the South Korean City of Cheongju. The focus of this Festival is the space introducing products of crafts, traditional craft villages from Hue, other provinces and cities in the country, and international craft villages, such as jewelry, embroidery, vitreous enamel, enchasing, bronze casting, carpentry handicrafts, truc chi, Zeng weaving, pottery, bamboo and rattan, and cuisine of famous craft villages in the country (including Hanoi, Bac Ninh, Thai Binh, Ha Giang, Ninh Thuan, Lam Dong, and Hue, etc.). 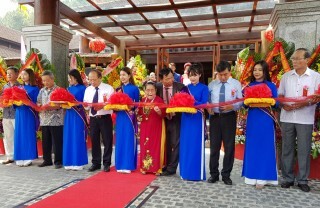 Besides the opening ceremony, closing ceremony, and Ao Dai show, Hue Traditional Craft Festival 2019 maintains the maneuvering space, introducing the products of craft villages, holding craft sacrificial ceremony, procession ceremony, and cuisine festival, voting for specialty handicraft products, and forming community cultural and art activities, etc. The new feature of this Festival is the space introducing products made from lotus, such as lotus silk weaving by artisan Phan Thi Thuan (from Hanoi), lotus tea, lotus painting, lotus leaf conical hats, lotus towels, and lotus fans, etc. 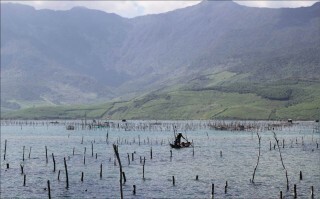 of artisans from Hue, Ho Chi Minh City, and Dong Thap. The traditional medicine, which is a characteristic of Hue, will be introduced and promoted at Hue Traditional Craft Festival 2019. Vice Chairman of Hue City's People's Committee, Deputy Head of Hue Traditional Craft Festival 2019 Organizing Committee, Mr. Nguyen Dang Thanh said that lotus was a famous product in Hue, associated with the tradition of growing lotus for hundreds of years, leaving a deep imprint in the cultural life of Hue people. 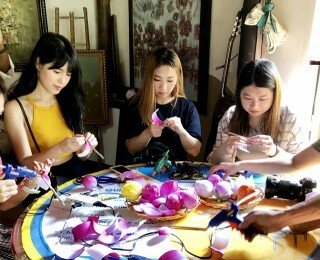 Via Hue Traditional Craft Festival 2019, visitors will know more about Hue lotus, contributing to the preservation and promotion of Hue lotus’s value through products made from lotus. 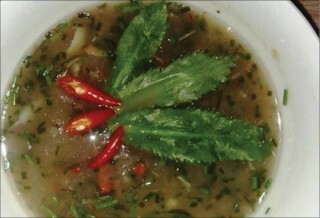 At the same time, the oriental medicine will be brought into the Festival to introduce techniques and methods of medical examination, prescription, and treatment with oriental medicine, so as to promote the traditional medicine heritage, which is a feature of Hue. 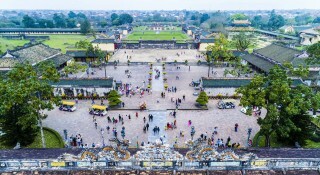 Besides the southern bank of the Huong River as having been hold every year, the space to organize activities in Hue Traditional Craft Festival 2019 will stretch from Nguyen Dinh Chieu pedestrian street, the promenade along the Huong River to the cultural space axis of Le Loi Street; Cua Ngan area, and the parks on the banks of the Huong River. In particular, the Organizing Committee will arrange a pedestrian space and landscape with a promenade along the Huong River, a system of pedestrian street on the southern bank of the Huong River connected with the northern bank of the Huong River and the pedestrian quarter of Chu Van An - Pham Ngu Lao - Vo Thi Sau, creating a poetic space stretching along the banks of the Huong River with many interesting activities during the Festival. It will gather the spaces of lotus, silk, Ao Dai, oriental medicine, lanterns, kites, Ao Dai show, and cuisine, etc. Mr. Nguyen Dang Thanh expected that via the activities at Hue Traditional Craft Festival 2019, Hue City's People's Committee aims to continue to organize a large-scale, quality, effective, and national-scale festival with international elements, contributing to introducing and promoting Hue City’s images; promoting the brand and position of Hue, the Festival City. It will actively contribute to the effective implementation of the guidelines of the province and city on restoring, supporting and developing traditional crafts, craft villages and typical handicraft industries.